Chris Green, an Associate Solicitor and experienced Clinical Negligence lawyer at Bridge McFarland, has been appointed to the Specialist Clinical Negligence Panel of AvMA – Action Against Medical Accidents. Chris joined Bridge McFarland’s dispute resolution team in June 2009. 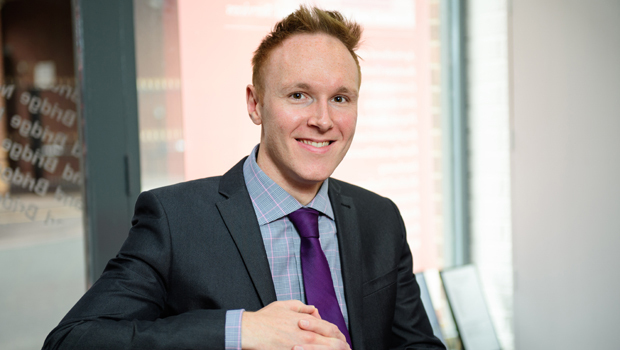 As a Trainee Solicitor he began to specialise in Clinical Negligence and, having qualified as a Solicitor in 2012, he is now Deputy Head of Department at the firm’s Grimsby office. Chris has acted for a large number of clients on a range of cases against hospital trusts and also GP surgeries, dental practices and clinicians practising in the private sector. He specialises in catastrophic injury claims, particularly those involving children injured at birth. He is also one of few Solicitors in the region who represents families at inquests throughout the country. AvMA provides free independent advice and support to people affected by medical accidents It works in partnership with health professionals, the NHS, government departments, lawyers and, most of all patients, to improve patient safety and justice for people affected by medical accidents. After listening to the experiences of patients who had been let down by legal advisers, the charity set up the panel as part of its efforts to pioneer the concept of Clinical Negligence as a separate legal specialism. AvMA has developed a demanding application process for what it sees as an essential quality mark for Clinical Negligence practitioners. Applicants should have at least four years of post-qualification experience and must submit details of their cases and experience before undergoing a rigorous interview. Chris began his application in May last year and submitted it in October. He said: “There are very few lawyers on this panel, particularly in the Humber and Lincolnshire area, and the fact that Bridge McFarland now has a member is significant for our firm and for our clients.